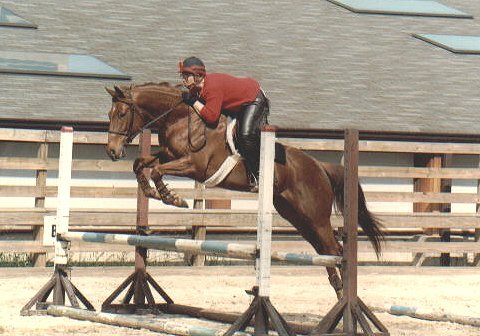 Because he was already broke to ride and had been in work, I could begin Prince's retraining right away. 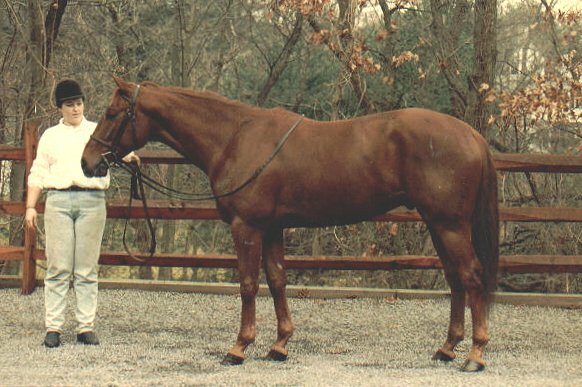 By November he'd been let down from being racing fit and looked more like a riding horse. 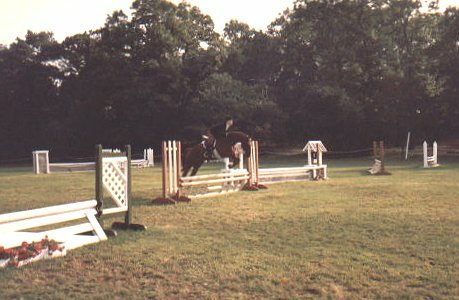 He was a quick study, and seemed very interested in learning all these new tricks. 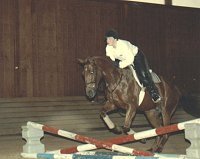 By December he was doing little crossrails in the indoor arena. 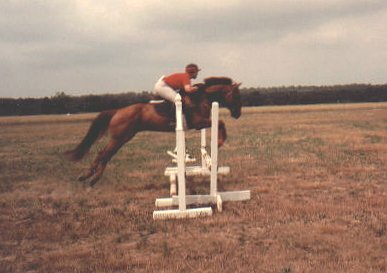 By the time we moved out of the indoor in the spring, we knew he could jump! 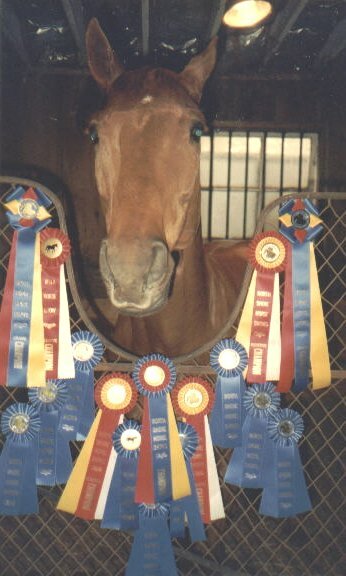 In the late summer of 1992 he began going to horse shows, and got prizes right from the beginning. 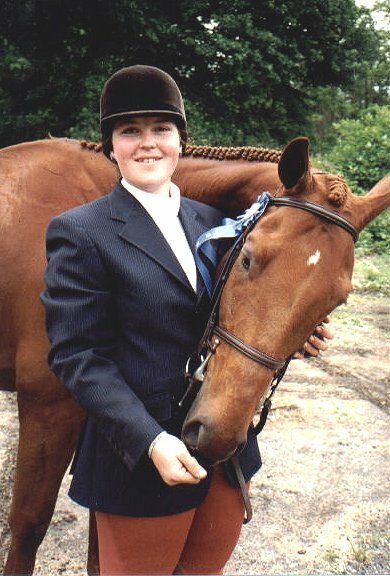 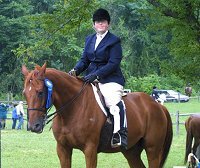 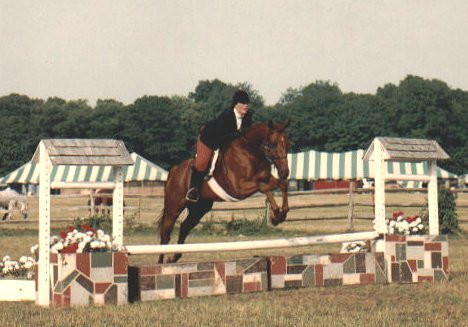 In the late spring of 1993 Prince won his first blue ribbon at the Glen Head Horse Show in Muttontown. From that point, he seemed to know he was on a roll, and he never looked back! 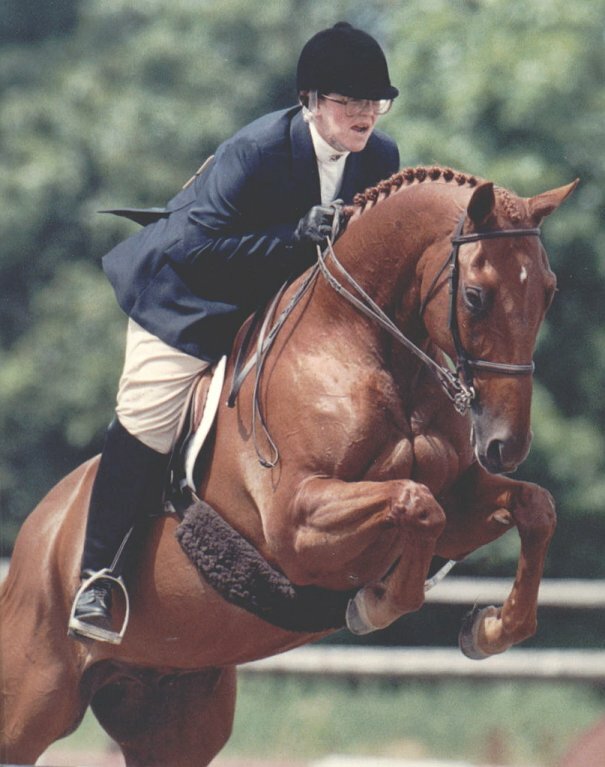 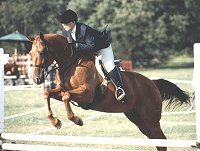 Prince has numerous show championships and season grand championships in the hunter, jumper, and adult equitation divisions. 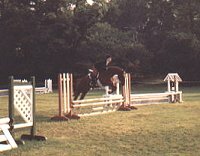 He was sixth at the combined training event I entered. 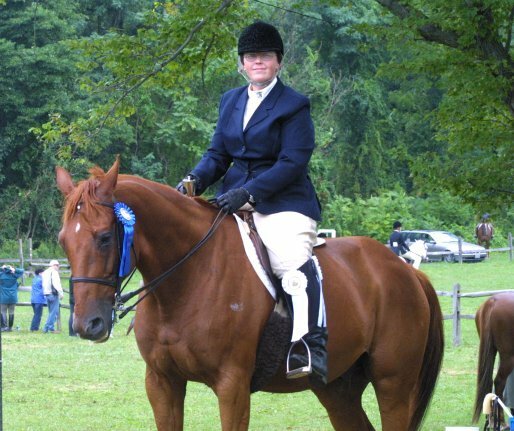 At the only dressage show I took him to, he won his first-level class. 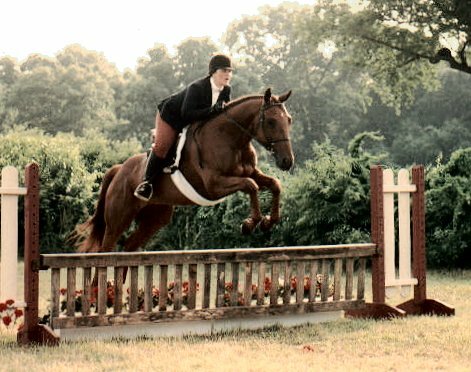 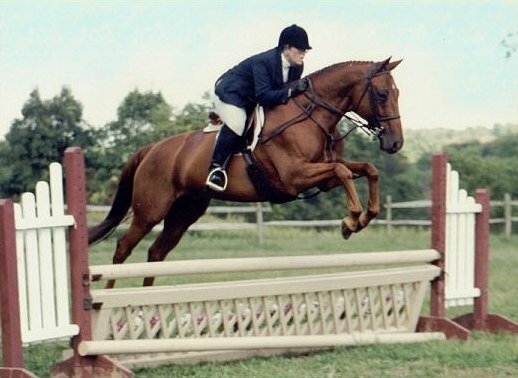 The year I took him out to the Hampton Classic, he was fourth over fences in a class of 44 horses. 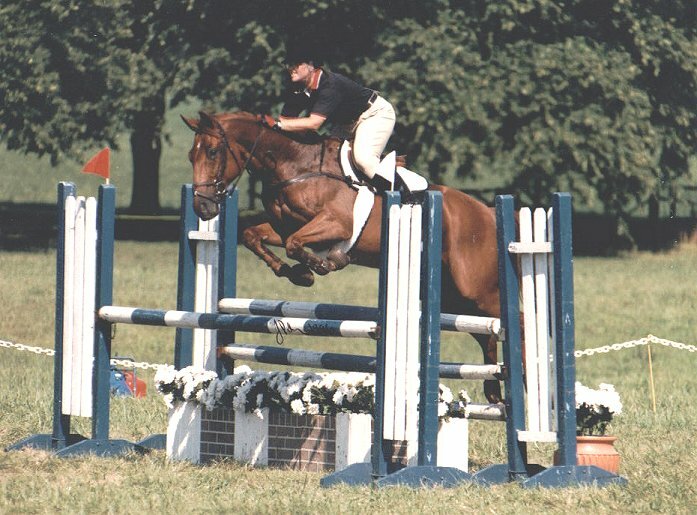 He's been rock-solid sound and will jump anything you put in front of him. A couple of years ago, showing got to be less compelling for me than it had been -- maybe I'd finally slaked the thirst of the competitive dragon, or just proved everything I thought I had to prove. Prince lives now in a quiet boarding barn nearby and, mostly, we go on trail.